support economic growth by attracting outside investment. Thanks to the partnership, the rural branch lines of the two counties have a robust train service and are busier now than they have ever been. Partnership initiatives include the popular Tamar Valley Line Carnet books of tickets. The partnership has been recognised many times for its work nationally at the Community Rail Awards with the volunteer projects winning awards in a number of categories including Involving Young People and Volunteer of the Year. The partnership has a number of opportunities for students to get involved, including regular volunteering projects along the Tamar and Looe Valley lines where students work to improve stations, reduce fear of crime and anti-social behaviour for the benefit of the local community. These projects allow students to develop a range of skills including team work, time management, plant care and recognition, building and maintenance and safe use of tools, enhancing their employability. Many have gone on to secure full-time jobs within the rail industry. 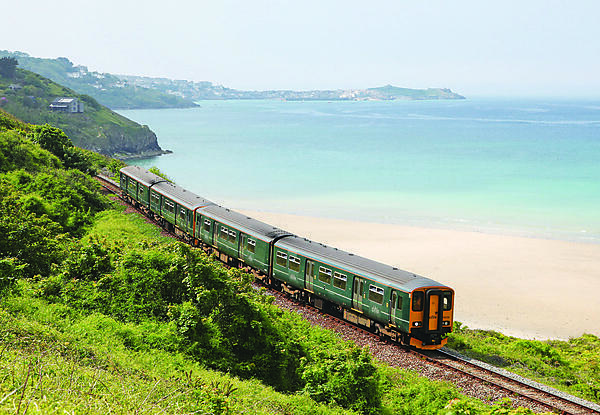 The partnership supports University initiatives such as ‘The Time Travelling Train on the Tamar Valley Line’ and ‘Moor to Sea without your car’ student-led publications, and these continue to be promoted through their work. The partnership has had considerable success in attracting grant funding from UK and EU sources. Representing the University as Lead Partner, the partnership ran the EU Interreg 'Citizens’ Rail' Project from 2012–2015. This involved partners from Lancashire, Germany, the Netherlands and France working together with local communities on a range of projects to develop local and regional railways, and was a 9.03 million Euro investment (£6.45 million). Annual UK funding of around £200,000 to the partnership comes from a range of sources including the partner bodies themselves and grant funding pots such as the Designated Community Rail Development Fund.